As a dietitian, naturally my clients have nutrition questions. But since my job is help you become more attuned to your own body and become your OWN nutrition expert, there are times in the course of my work with some clients nutrition is hardly discussed. We find that we don’t need college degrees in nutrition to know how to keep ourselves well. Imagine that? We all know TOO much about nutrition and it doesn’t generally help us with our eating habits anyway. I am going to address some questions I get because enough people have asked and I love you all and don’t want you to feel like I am not listening. It’s just that I get squirmy. When I am not working with someone individually or in a group and I don’t know your history, I get nervous if the information is going to do harm. But I decided to put more trust in you that you will use this information not as a “should” but check in with yourself and your health care people about what is best for you. ​Let’s get started with a few questions I get. 1) Theoretically if we were never stressed (which impact digestion) and the majority of the time (again think weeks and months, not day to day) we have a nutrient replete diet and are at our natural weight, no chronic illness or major things like super heavy periods, etc, and we are eating enough energy, we are not pregnant or in menopause, we probably don’t need vitamins. But we do age and might need some extra b12, don’t like or eat animal or plant sources of calcium so may need to supplement get pregnant and can barely stomach anything or we can but just need more folic acid. In high stress so a b complex vitamin can help our bodies with the creation of cortisol and adrenaline have fair complexions, autoimmune issues or not much sun and need Vit D. We take metformin or antidepressants which can deplete B vitamins, so a B complex would be good here too. Or don’t take in much fatty fish so our nervous systems could benefit from Omega 3’s of some kind. I am just listing a few situations and if I left out a concern of yours email me please! I know I am being somewhat vague because I don’t know how you might respond to certain brands or forms so I can’t give specifics. Check out the picture of in this post. 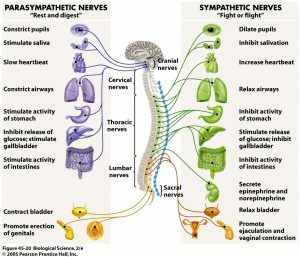 You can see that the nervous system helps control digestive function. To make it as simple as possible, when you are running from deadlines, too many things to do, fear of weight gain, guilt about not exercising, fear of being judged and this is how you live your life, you will not digest your food as well as if you were relaxed with eating more often. Don’t panic. We all have stressors and go in and out of relaxed and activated. The problem is that we do get stomach-aches and digestive issues because we are in flight or fight too long and often. And we blame the food and this is where so many people think they have all these allergies and intolerances. What I see as we start to bring safety to our bodies, the tightness in our gut can very quickly get better. I think it is a both / and. when it comes to the idea that more and more people have gut issues now than in the past. I think we are more aware of the gut connection to health and many people just lived with discomfort and its more talked about and researched. 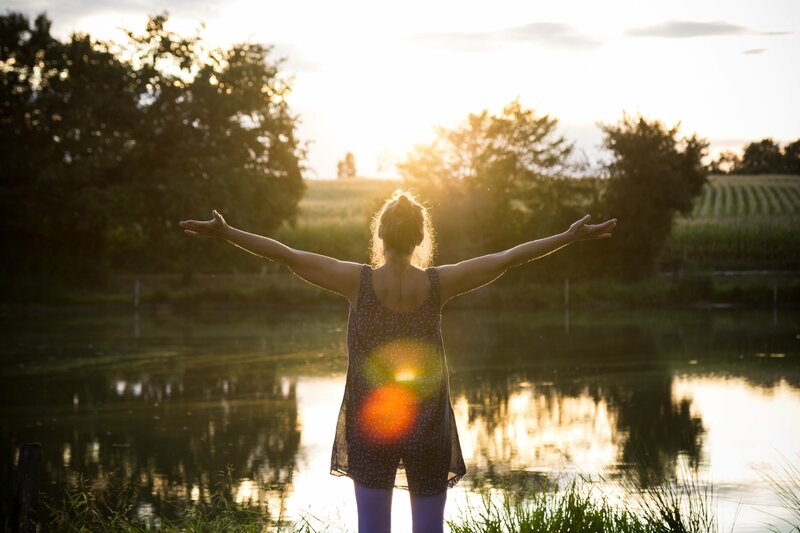 But healing gut health is more than just eliminating foods and popping enzymes, herbal antibiotics, glutamine, probiotics,etc even though these things can help . It’s slowing down to “body time” to allow for healing. For example, if you have been diagnosed with IBS, Fodmap helps people who don’t respond to just cutting out gluten and dairy (those foods aren’t always a problem for people, it could be something simple like apples, ) but it is not a cure and not supposed to be a forever thing. A healthy gut can digest just about anything (there are exceptions) and an inflamed gut most things probably don’t feel good. So what people experience is real, but it isn’t a simple formula to fix. It’s food / supplements/ and working on the internal conflicts that keep us so “bound up”, “can’t keep things in” and “tied in knots” . Bottom line, when people are having GI discomforts, I look at both the nervous system health and help with food and supplements to ease the symptoms and make eating easier and more pleasurable. I usually answer that in session with what makes you ask? I get curious how come people want to know what I do. I am not immune to health concerns but I am first and foremost working on the root of things from a stress perspective then work out to the food and supplements. I personally take a multi, magnesium, fish oil and sometimes a probiotic . I also take a few herbal things for balancing out some hormone issues as my body changes because of middle age. 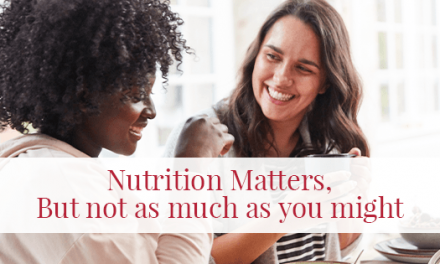 If you want to know a little more about nutrition, check out these videos I did back a few weeks ago to address nutrition (you may have already seen it but review is good). 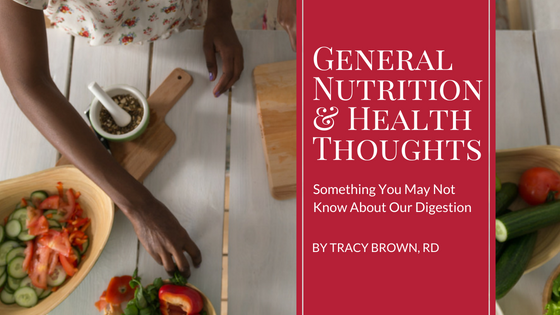 I hope this post was helpful and gave your some things to ponder in your own health and nutrition journey. If you need some reinforcement on your nervous system health, nutrition or intuitive eating journey, happy to help. Great post! Thank you for sharing. I find that as I’m working on reducing stress and anxiety + taking certain supplements my stomach issues are less and less by the day. Thank you Nessa! That’s right! Thank you! Great post. I’m also an RD and find addressing stress and mindset about food/nutrition are often the most important things before sussing out if someone needs a supplement or elimination diet.